The Middle School Teacher Eligibility Test will be conducted on February 16, 2019. The High School Teacher Eligibility Test was conducted on February 1, 2019. 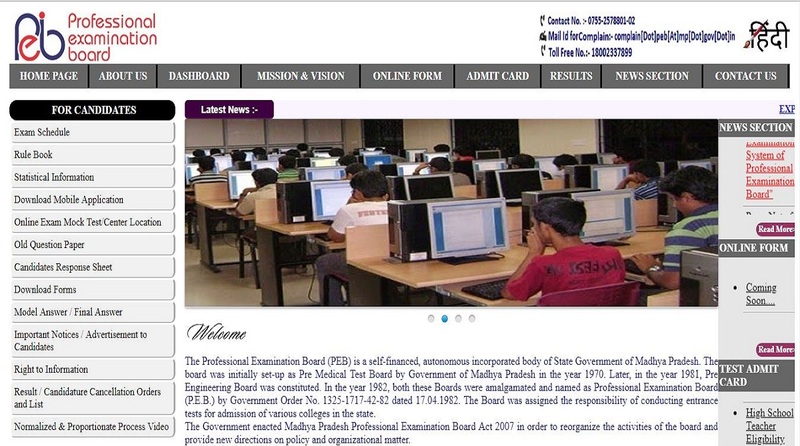 • Visit the official website of MPPEB: peb.mp.gov.in. • On the next page, enter your application number, date of birth, select the subject and click on search. • All the candidates who will appear after the scheduled reporting time will not be allowed to enter the examination center. • Only admit cards and Original Photo ID is allowed in the examination hall.